I enjoy taking walks out my front door and finding things to paint and draw on. This slab comes from a 20′ Ponderosa Pine. 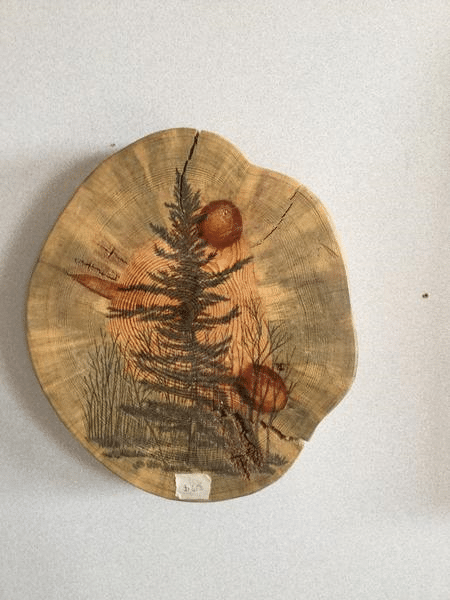 Hand drawn cedar tree landscape. Add a little of the Black Hills to your home.